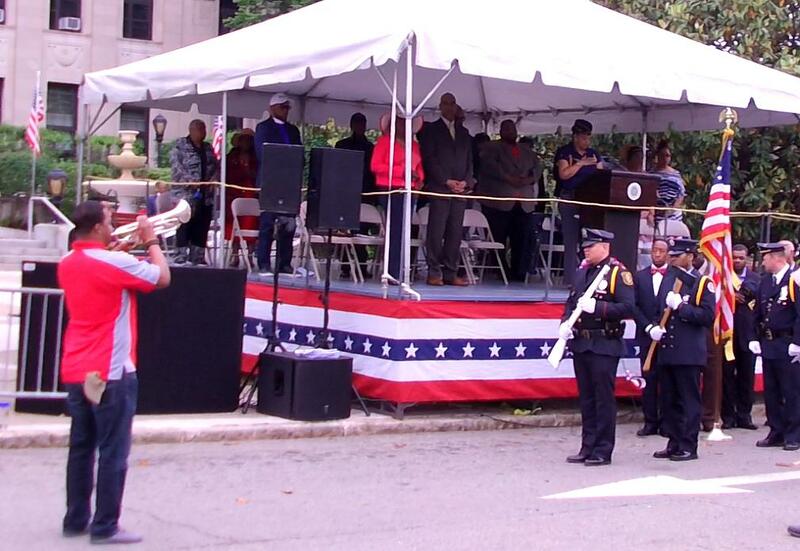 The Memorial Day Ceremony began in the street this year, instead of in front of the Stone War Memorial. Veterans sat in special chairs set up right beneath the podium. 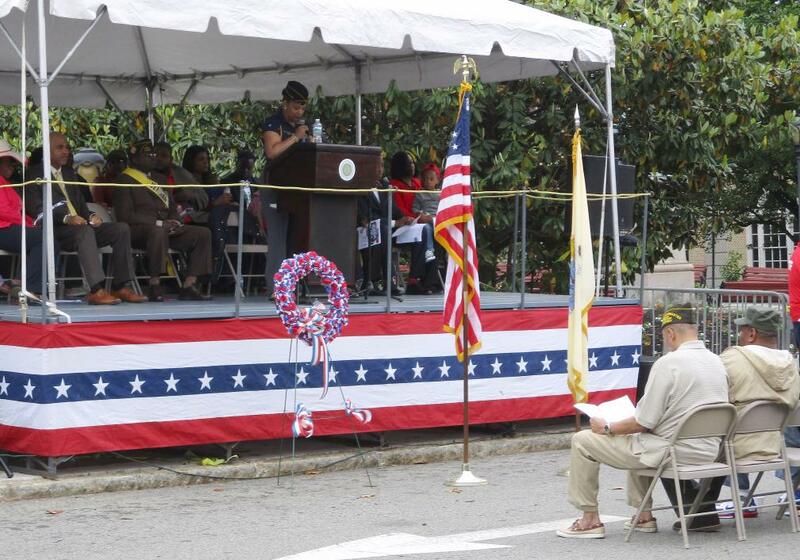 East Orange Memorial Day Opening Ceremonies 5/28/18 from James Gerrish on Vimeo. On the other side of the city, on Central Avenue, the three invited bands began the march towards City Hall. East Orange Campus High School Marching Jaguars were in the lead. The next band was from Newark's Central High School. Finally came what appears to be an ROTC drum squad. When we learn the name, it will be included here. You can see and hear the three bands on the video that follows. East Orange Memorial Day Parade 2018 - Three Bands from James Gerrish on Vimeo.